Production followed in early 2000, with Ridney featuring as a co-writer in a number of production groups. Moving into solo production, he was invited to provide a producer guest mix for the Trophy Twins on their BBC Radio 1 show during October 2006. During 2007 & 2008, Ridney’s tracks were supported on Pete Tong's Fast Trax show, with Ridney appearing 5 times! In July 2008, Ridney scored his first "Essential New Tune" on Pete Tong's BBC Radio 1 show. His collaboration with James Talk on the track "Sunshyne", was awarded "Track of the Year" by Carl Cox in the Top 100 edition of DJ Magazine (2008). James Talk and Ridney have since scored two further “Essential New Tune” awards on the Pete Tong BBC Radio 1 show. On 17th July 2009, their remake of the classic Pet Shop Boys "West End Girls" achieved the prestigious crown, and on 5th March 2010”, their disco sampling workout "Forever" achieved the nod during a show broadcast live from Digital in Newcastle. 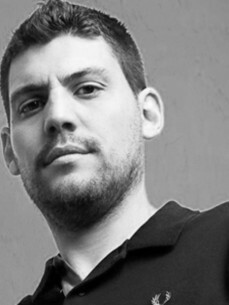 Ridney relauched his solo production career in 2010, delivering a succession of hits including “At Night” for Defected, “Arrivals” for Steve Angello’s Size imprint plus his “Way Forward EP” for the recently re-launched Work label. He continued to DJ throughout 2010, with memorable sets at Wonderland, Hush & Ibiza Rocks in Ibiza.